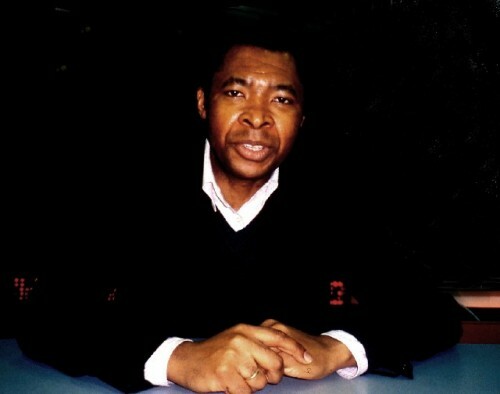 Okwui Enwezer in 2000. Giuliano photo. This is the conclusion of a three part report on documenta X which opens in June, 2002, in Kassel, Germany. Leading up to Kassel are Five Platforms, starting with, “Democracy Unrealized,” in Vienna, Austria, in March, 2001. This segment deals with controversy surrounding the decision to open the first Platform in Vienna which is the subject of an art boycott. For clarification and an update we corresponded with Dr. Robert Fleck the organizer of this action. We present his entire letter edited for clarity. This is followed by the conclusion of the interview with Okwui Enwezer the organizer of documenta XI and his responses to questions related to Vienna. 1) Dr. Joerg Haider (doctor is the academic title, in Austria they use it always, and it shows that the normal people in Austria respect Haider very much because he's a "doctor") He was president of the FPOe (Freedom Party - Freiheitliche Partei Oesterreichs) from 1986 to March 2000, he resigned officially in March, but he's still leading the party. He is Governor and local minister of Culture in the "land" (state) of Carinthia since June 1999 (head of the local government and local minister of Culture, very powerful). would have been an enormous event, while the inauguration of the monument was more used by the government to show how "normal" and "tolerant" this government pretends to be). speaking of a "Austria-fascistation" of the political life). this government seems to stay in power for 15 years...). Charles Giuliano May I ask who pays for documenta and how much. Okwui Enwezer I don’t want to say. The city and the state pay. They pay fifty percent each. And of course there are sponsorships. CG We are talking multiple millions of Marks. OE It is a lot of money. Documenta is always interested in spending enormous amounts of money in creating works and shipping them and whatever. CG Is there a bottom line that they see in this in terms of how many people (some 750,000 for documenta X) come to the city. What does the city get out of it. Do they get a financial boost. OE Of course. There is an enormous financial gain but first and foremost its culture. One cannot be naive that the economic impact is not felt. In some ways I want to bring it down a bit so that it’s not this monster. CG Are you prepared to put your head on the block in terms of the potential negative impact. OE Of course one tries. One can never anticipate. Failure is always an option. One has to test the waters in whatever way. CG Do you think about that? Is that a part of your strategy or process. Is it something that you talk about with your wife. OE We haven’t got to that point yet. But I am entirely consumed by the pace. CG Look at your two predecessors. They took their share of lumps. Wouldn’t it be normal to expect that? OE It’s part of the territory. I would be disappointed if there were no debates or arguments. If the debates are informed by honest critical discourse with the exhibition or institution then that is fine. It’s not something that one has any control over. One does not make an exhibition like this to gain accolades or platitudes. You never know what will be appealing until you’ve done it. You cannot play to applause before you have done the exhibition. Otherwise you run the risk of destroying your own integrity. CG What role will the internet play. OE Absolutely. Documenta has faced that premise already with the 100 Days. And you can still download all the interviews. We are building our server. CG Are you officially launching this the first platform. Is that being advertised, or announced. OE There will be a press conference in January in Vienna. CG How are you dealing with being in Vienna? Artists have been asked to boycott Austria because of the Haider situation. How are you strike breaking by coming in against international protests against the current political situation? OE I am a man from Nigeria, who travels constantly, and carries an American passport. Always subjected to submitting to some of the most humiliating searches and so on. I cannot tell you that I am breaking any strike. I think it’s my lot when I travel when I am participating in documenta or not. And I think it’s really important that in relation to Austria that one certainly looks at what is going on there. And really to try very critically to engage ideas and hopefully those ideas can have a point of engagement with what local people are thinking. I deeply empathize with what artists are doing and what the boycotts are calling for. But I think it is naïve to think that the only way that we can engage with that, with Haider and his lot, is shutting down everything else. I think there has to be a counter politics of some sort. With that kind of tendency. What we did was to withdraw, essentially, a little bit. CG Who is going to fund the Austrian component. Are you getting any government money? OE The school, (unidentified) but documenta essentially. CG So you are not using Austrian money to go there. OE I wouldn’t say we are not using Austrian money. We are certainly not using money from the Austrian state. But I wouldn’t say we’re not using Austrian money. CG You dealt with some of those same issues in South Africa. So, the question is how can artists make a positive impact. In very tense political environments. CG Hitler wasn’t Austria either. OE Haider represents. This is precisely the point that. I am not trying to say that the initiative of the boycott is a wrong move. But it cannot surely be the only response. And we are not making this in response to Haider. Really. In any way shape or form. What I am trying to put forward is something really simple. The global response to Haider is for me very important how exposed the relationship is between art and politics. And this is precisely what we want. We cannot be naïve about the critical role that art and culture has to play. What I am proposing is that there has to be a counter politics as well. If not in Austria where else can it take place? I feel our position is not indefensible at all. Because, there are artists who call for a boycott, and artists who do not call for a boycott. You are referring to people like Robert Fleck who call for a boycott and people who say we don’t need a boycott. So how do you reconcile those two things. Let me use an example. In South Carolina a boycott has been called because of the State (Confederate) flag (flying over the Capital). Now how are we honoring that. Is it any different. CG Do you intend to make part of that your platform in Vienna? OE No. Not at all. We are dealing with the notion of Democracy Unrealized. That already speaks. Astrid Hiemer Unrealized. A perfect place to be. CG What was your involvement with the Johannesburg Biennale? OE I was the artistic director. It was the same position I have with documenta. It was the second one. It was the very first time that an exhibition of contemporary art of that scope and scale had ever taken place in Africa. CG All of Africa. The entire continent. CG That’s amazing isn’t it. OE The very first time on a contemporary art level. Not on a cultural level. Prior to that there had been festivals in Lagos and Dakar, Algiers. Those were larger than Johannesburg. But again it came at a remarkable time in South Africa three years after the transition. It was a way again to introduce a different feel. CG You are Nigerian but it sounds like you live all over the world. OE I have my office in Brooklyn but I live in (Manhattan). CG What role do you see for Africa in contemporary art? OE I think it is very clear not only for Africa but for different parts of the world. Let’s just use the Whitney Biennial as an example. It has been restructured that if you live in the United States you’re in. CG Like Wolfgang Tillmans winning the Turner Prize. OE Precisely. That the contributions of artists do not just belong to the places that they come from. Many African artists have made remarkable inroads into the international discourse. In ways that would not have been anticipated ten years ago. Not just Africa, but also Asia, and Latin America. In documenta X, in Venice, whatever those things means. There are increasing roles that artists are going to play. There couldn’t be a more exciting and challenging time to work as a curator. The landscape is really very complex and interesting. One has to be very precise and careful in making exhibitions.